Blind source separation (BSS) is a problem that arises when we desire to separate a number of sources from a mixture measurement. 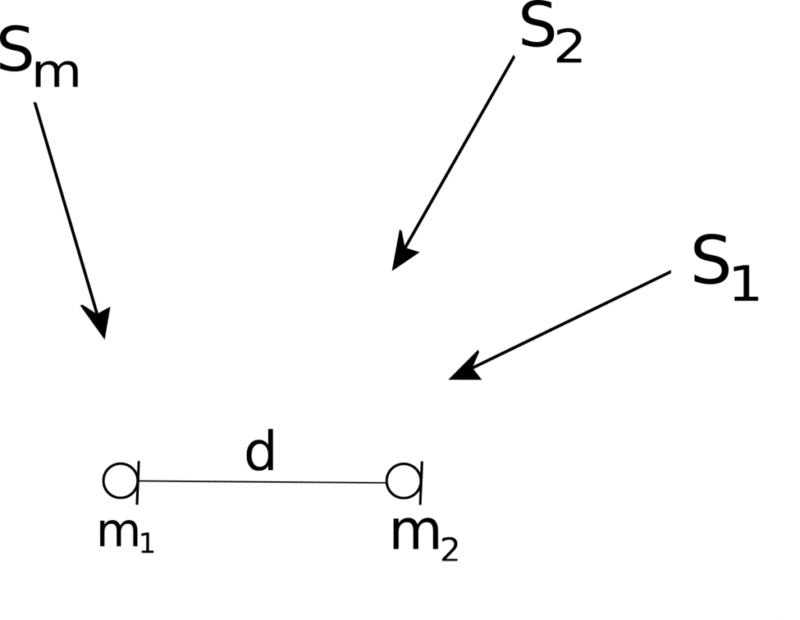 The system is illustrated in Figure 1 below. The total distortion metric has the added advantage that when the estimate is orthogonal to the desired source, the denominator causes the distortion to approach infinity. So called metrics such as source to interference ratio (SIR) and source to artifact ration (SAR) are all based off the total distortion. Here the noise term is separated into noise, artifact due to non linear zeros, and interference from other sources.